Robert Costa is a political analyst for NBC News and MSNBC who is regarded as being part of America’s next generation of journalists. The University of Notre Dame graduate, who is of Italian/Portuguese descent, has been lauded for his fresh political perspectives in an industry full of old heads. In addition to his work listed above, Costa is also a national political reporter for The Washington Post and the moderator of Washington Week. Here is all you need to know about him, biography, education and marital status. Robert Costa is the child of legal practitioners; Thomas and Anne-Dillon Costa. He was born in Richmond, Virginia, on October 14, 1985. Along with his three siblings, he grew up in Lower Makefield Township, Bucks County, Pennsylvania. There he attended Pennsbury High School where he graduated from in 2004. While in High School, Costa was very popular and was recognized for his flair for journalism as well as his social skills. He began doing interviews for The Bucks County Courier Times as a student and earned around $50 per article. He was able to use his position there to invite famous rock musicians such as John Mayer, Eve 6 and Maroon 5 to perform at his school, which made him even more popular among his peers. Not one to be restricted to a particular subject, Costa also covered professional and local sports for student television station, PHS-TV. He went on to attend the University of Notre Dame from 2004 – 2008, graduating with a Bachelor of Arts degree in American Studies. After that, he got a masters in politics from the University of Cambridge in 2009. During his undergraduate, Costa had a number of high-profile internships, first with Charlie Rose at PBS, and with George Stephanopoulos on ABC’s This Week, and then in the United Kingdom’s House of Commons. While on campus, he did an interview show for ND-TV called Office Hours. Costa currently serves on the advisory council for the Donald R. Keough School of Global Affairs and is also on the advisory board for the John W. Gallivan Program in Journalism, Ethics, and Democracy for Notre Dame. Between 2014 and 2017, he was on the University’s Board of Trustees. Like he did in High School and in Notre Dame, Costa made sure to keep himself busy while doing his masters. He was an active member of the Cambridge Union debating society. For his research paper, he focused on the relationship between the United Kingdom under Winston Churchill’s leadership and the United States. Renowned British academic and author, Andre Gamble, was his thesis advisor. 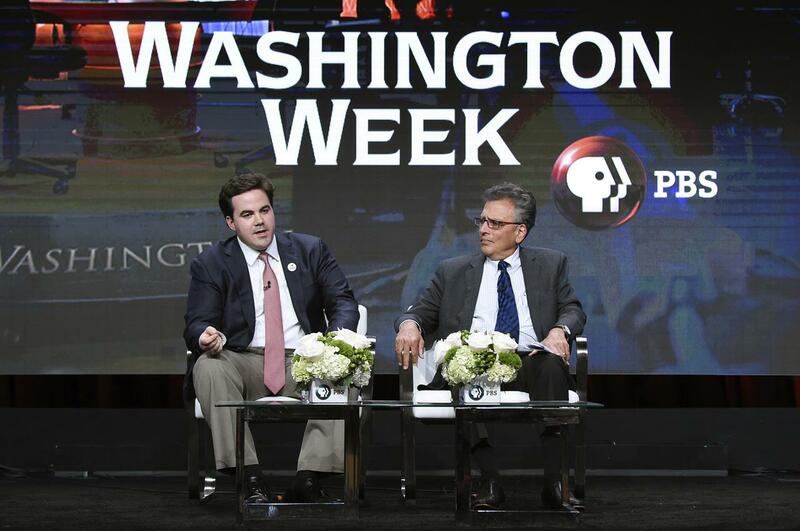 Robert Costa went on to start his journalism career as a Robert L. Bartley Fellow at The Wall Street Journal. His first full-time job came as a reporter at National Review, an American semi-monthly magazine which focuses on political, social, and cultural affairs. In 2012, after two years of hard, impressive work, he was promoted to the position of Washington editor. At this time, he was also a contributor for CNBC and MSNBC. In 2013, Costa received some praise for his reporting of the 2013 United States federal government shutdown. His work earned him the nickname; “The Golden Boy of the Government Shutdown”. Later that year, having gained a number of admirers of his work, Costa left National Review to join The Washington Post. He also became a political analyst for both NBC and MSNBC. Costa further covered the presidential campaign, through which he earned another nickname, “Trump Whisperer”, because of the various extensive interviews he had with Donald Trump. His work, despite accusations of partisanship, drew him more widespread acclaim. It led to him being named the moderator for Washington Week on PBS in April 2017, a show in which he has been a frequent guest moderator since 2014. Robert Costa is one of the few people on earth that has an active social media life but has not revealed anything about his personal life. He is said to be extremely work oriented, giving no room for him to establish personal relationships. However, a few publications, who have not been able to back up their claims with photos or names, say that the fast-rising journalist is actually married with kids. Other reports say he is gay but Costa has vehemently denied that.